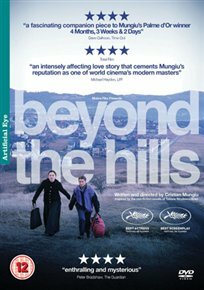 Dark Romanian drama following two young women at odds with their past. Voichita (Cosmina Stratan)’s new life at an isolated convent is threatened when her old friend Alina (Cristina Flutur) appears in the hopes of taking her to Germany. At first they are happy to be reunited but Voichita begins to infuriate Alina with her new found faith and refusal to bend to her will, causing their relationship to deteriorate. Not only does Alina’s presence cause disruption to Voichita but the whole community feels the strain of her ungodly ways and they begin to believe she is possessed. Alina then falls victim to the religious order of the convent and is forced to withstand a series of exorcism attempts at the hands of the priest (Valeriu Andriuta).